Note--this resource was updated. New version here. The Highway Safety Improvement Program (HSIP) aims to achieve a significant reduction in traffic fatalities and serious accidents through the implementation of infrastructure-related highway safety improvements. HSIP in Missouri is administered through the MoDOT Highway Safety Division and, as far as we know, all funds are spent on MoDOT roads. If you have a safety issue--including an issue involving bicycle or pedestrian safety--you could request that your local MoDOT district apply for HSIP funds to address it. Community Highway Safety Program (Section 402) funds are administered by MoDOT to communities and agencies for highway safety programs. Funds are distributed via an annual competitive grand process. To find out more about applying for this funding, create an account (page linked above). When you log in, program and application details will be available. Missouri State Parks administers Recreational Trails Program (RTP) funds. RTP annually funds recreational trails, including bicycle and pedestrian paths. The funding process is a competitive grant program. States receive individual allocations of LWCF grant funds based upon a national formula, with state population being the most influential factor. 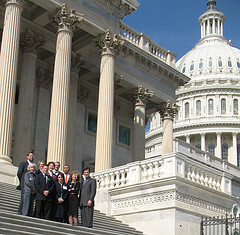 States initiate a statewide competition for the amount available annually. The CDBG entitlement program allocates annual grants to larger cities and urban counties to develop viable communities by providing decent housing, a suitable living environment, and opportunities to expand economic opportunities, principally for low- and moderate-income persons. Bicycle and pedestrian facilities are eligible uses of these funds. The Rivers, Trails, and Conservation Assistance Program is the community assistance arm of the National Park Service. RTCA provides technical assistance to communities in order to preserve open space and develop trails. RTCA has provided vital technical assistance to a number of Missouri communities and regions--for example to plan local or regional trails, and develop citywide or regional trails plans. RTCA does not provide funding, but technical expertise and know-how that can help you bring together the partners you need and create the plans you need in order to successfully develop the funding you need. Some transportation funding comes from the federal government based on formulas, which allocate funds to state governments, urban and non-urban areas based on population, vehicle miles traveled, air quality conformity and other variables. Governing entities, such as state departments of transportation (DOT), metropolitan planning organizations (MPO), rural planning organizations, or municipal or county governments then allocate the funding for transportation projects that meet certain federal criteria. In Missouri, these programs are generally administered through some combination of Metropolitan Planning Organizations (covering medium & large metro areas in the state), Regional Planning Commissions (covering all of the state), and MoDOT Districts. To find out more about any of these programs, call your local MPO, RPC, or MoDOT District. It may take some persistence to find the right contact for the program you are interested in. Transportation Alternatives Program (TAP). This is the main program that funds trails and other bicycle and pedestrian projects across the country. This competitive reimbursement program includes most activities eligible under the historically funded Transportation Enhancements program and the Safe Routes to School (SRTS) program, which funds programs and projects that encourage children and their families to walk and bike safely to school. Every MoDOT District and MPO has TAP funding. Funding is distributed by district & MPO by a fairly complex formula. Generally it is distributed in competitive funding rounds taking place every other year. MPOs & MoDOT TAP funding rounds may be on separate schedules. Congestion Mitigation and Air Quality Improvement (CMAQ). This program provides funds to state DOTs, MPOs and other sponsors to fund projects that will contribute to air quality improvements in ozone, carbon monoxide and/or particulate matter, and provide congestion relief. In Missouri, this funding is generally available only to large MPOs--Kansas City & St. Louis. Surface Transportation Program (STP). This program provides flexible funds to states for projects to improve federal-aid highways (most roads), bridges and tunnels, walking and biking infrastructure, and transit capital projects. In Missouri, STP funding priorities are generally determined at the MPO & MoDOT District levels in a competitive grant process. Bicycle, pedestrian, and trails projects ARE eligible for STP funding and several important bike/ped projects have now received funding through STP. Additionally, many MPOs now have requirements for inclusion of bicycle & pedestrian connectivity in any STP-funding road project. But be aware that, traditionally, STP funding in Missouri has gone solely to roads and bridges. You may face an uphill battle winning even a small amount for bicycling, walking, or trails in your area. Congress: Traditionally, local communities have been able to approach their local Member of Congress or Senator for a special federal appropriation for important projects. That system is now on hold, but it is still very worthwhile reach out to your area Congressional representatives and their staff members. They may know of funding sources and may be able to offer assistance in successfully applying for various grant programs. TIGER: The Transportation Investment Generating Economic Recovery program is a competitive grant program with funds allocated directly by the U.S. Department of Transportation for innovative projects that deliver on five long-term outcomes: safety, economic competitiveness, state of good repair, livability and environmental sustainability. TIGER rewards projects that bring modes together and that are otherwise difficult to fund. Bicycle, pedestrian, and Complete Streets projects are well received. Missouri has received funding for several TIGER grants that include bicycle & pedestrian elements, including major bridges, neighborhood revitalization, and others. CPG: The Community Prevention Grants program, formerly Community Transformation Grants, enables local communities to implement programs that address chronic health issues such as cancer, diabetes and heart disease, for example, by encouraging active living and healthy eating. Smart Growth Implementation Assistance through the EPA. The federal Transportation Infrastructure Financing and Innovation Act, or TIFIA, provides different types of loans and credit to support larger transportation projects, defined as projects with a cost of at least $50 million in urban areas, $25 million for rural infrastructure projects, $15 million for intelligent transportation system (ITS) projects, or any project that costs more than one-third of the most recently completed fiscal year’s formula transportation apportionments for the state in which the project is located. This could be appropriate for very large bicycle & pedestrian projects, or other transportation projects that include a key bike/ped/trails element. Missouri, unfortunately, has relatively little dedicated state funding for bicycling and walking. This is an identified weakness in Missouri's transportation funding. MoDOT requires thorough consideration for providing for the needs of people who walk and bicycle in all road and highway projects. Your case is strengthened if you have local plans and policies requiring accommodation for people who walk and bicycle, and if the particular road is a specific part of a local bicycle or pedestrian plan. If MoDOT is planning construction or maintenance on a state road, that is the best time to approach MoDOT about these issues. Missouri State Parks and the Missouri Department of Conservation both have some limited funding available for developing trails on land they administer. You can work with your local Missouri Senator(s) and Representative(s) for a special allocation of Missouri General Revenue funding for special projects. This has been particularly effective for particular high-profile projects. Many Missouri communities now build bicycle, pedestrian, and trails projects into their regular plans for capital improvements or community improvements sales taxes. Cities find that including these important projects help build citizen support needed to pass the sales tax renewals. Guide to local government taxes in Missouri here. Similarly, many communities build trails plans into their regular storm water/local parks tax renewal plans. Again, these proposals help build citizen support for the tax renewal. Cities and counties may use their own existing funding sources, including transportation funding sources, to fund needed bicycle, pedestrian, and trail work. Many communities have developed innovative partnerships that bring in private funding and investment to create bicycle, pedestrian, and trails projects. In reality, there is no complete list of funding sources for bicycle, pedestrian, and trails projects. The best and most successful communities spend considerable time exploring potential funding sources and developing relationships with funding organizations. 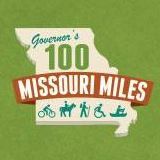 More suggestions and help for planning for walking, bicycling, and trails in Missouri cities and counties here. Are bike & ped projects being included in project lists for proposed $8 billion Missouri transportation funding?